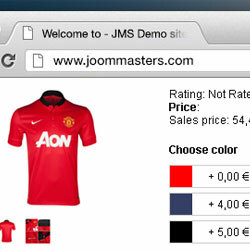 JMS Colors for Virtuemart allows you to create colors for each product, each color will has own price and images. Colors and prices also will update to cart, order and invoice. It includes a component and a custom plugin for Virtuemart. 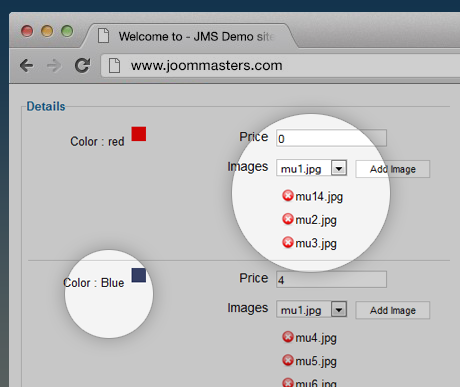 JMS Custom color component manages colors, assign images of product for each color, set price add on for each color of product. 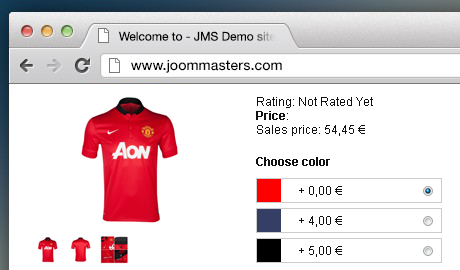 JMS color for Virtuemart plugin adds colors to each product. Update color, price of product to cart,order and invoice.